The local chapter resurrects its housing award program. As Anna Holtzman discovers, this year’s jury champions affordability. 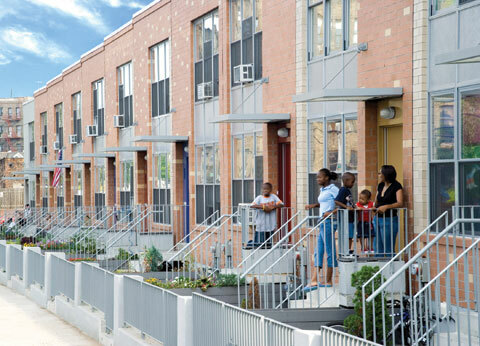 Murphy Burnham & Buttrick’s Bronx Row Houses, designed for Habitat for Humanity. >I don’t expect this project to be published in the magazines,, said architect Jeffrey Murphy of his firm Murphy Burnham & Buttrick’s award-winning project. His sentiment sums up that of many architects who submitted to the AIA New York Chapter 2005 Housing Design Awards. Displayed in an exhibition at the Center for Architecture and titled Everything Housing: From Homeless Shelters to Luxury Living (open through December 3), the awards span the gamuttfrom a supportive housing development in Brooklyn by Polshek Partnership to Richard Meier’s exclusive Charles Street tower. Yet the focus of the judges, and of the AIA New York Chapter housing committee behind the awards, was clearly on the unglamorous side of the shelter spectrum: affordable housing. Spearheaded by housing committee chair James McCullar, the nascent program drew 102 entriessincluding built projects and those approved for constructionnfrom which judges Julie Eizenberg, Adele Naude Santos, and Michael Pyatok selected nine awards and five citations. The New York AIA housing committee hasn’t held an awards program since 1981, said McCullar, for unexplained reasons. And somehow with the Design Awards program, housing got lost in the shuffle,, he recounted. In the last few years, New York architects have been invited to submit to the Boston Society of Architects (BSA)’s biennial housing awards. 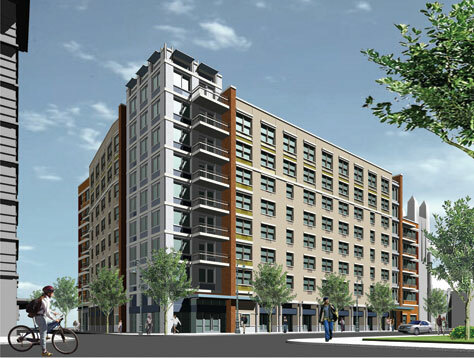 [But] with all of the recent zoning changes in New York, such as the Greenpoint waterfront,, said McCullar, there could not be a more opportune time to bring local housing efforts to the forefront. Shaun Donovan, commissioner of the New York City Department of Housing Preservation and Development (HPD) and a guest speaker at the October 17 awards ceremony, drove McCullar’s point home when he stated, Since 1990, New York City has added more people than the population of Boston,, creating an unprecedented need for affordable housing. 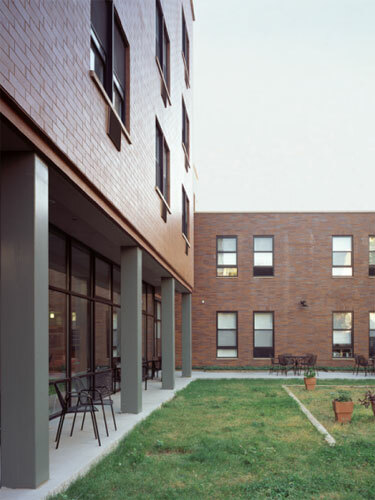 Jonathan Kirschenfeld Associates’ Marcy Avenue Residence in Brooklyn serves the mentally ill.
Donovan lauded such projects as the Schermerhorn House, Polshek Partnership’s citation-winning, glass-faced supportive housing project for Common Ground Community, which brings luxuriously light-filled interior spaces to a mix of low-income and formerly homeless residents. Donovan’s praise was tempered, however, by a more critical take from the jury. We were hoping to see some new typologies as far as spatial arrangements and clustering of units,, said Santos, but the truth was, there wasn’t any of thatton the first pass, we said, Boy, these New Yorkers are really conservative.” Eizenberg concurred, When everything is brick with sensible windows, you start to get a little worried.. In explaining their initial reaction, Santos proffered, We were very much a West Coast jury.. While Santos teaches at MIT, she is also a partner in San Francisco firm Santos Prescott & Associates; Eizenberg’s practice Koning Eizenberg Architecture is based in Santa Monica, and Michael Pyatok practices in Oakland, California. Santos continued, In some ways, it’s easier for us,, without the harsh climate, material constraints, stringent codes, and contextual pressures plaguing architects in dense East Coast cities. On closer inspection, the jury uncovered a group of projects whose stories go deeper than their practical brick walls. 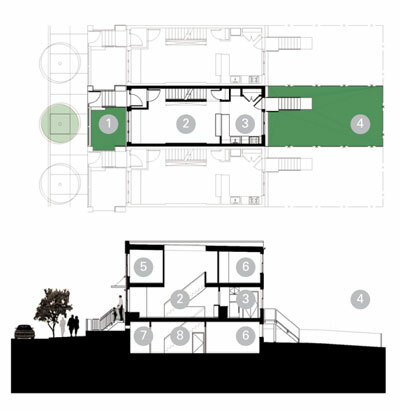 Among the award winners is Jonathan Kirschenfeld Associates’ Marcy Avenue Residence, a Brooklyn home for the mentally ill, which the jury likened to the brick buildings of the Amsterdam School because of its carefully articulated faaade on which interior configurations are expressed by gestures such as recessed windows. Murphy Burnham & Buttrick Architects won an award for theiroriented toward a community garden across the street, and skylights within make the most of limited space. 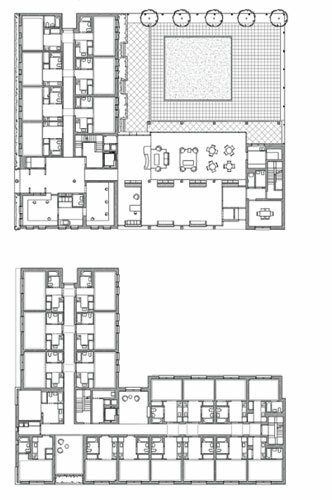 As the jury notes stated, These aren’t cheap gestures, but [the architects] decided where to prioritize,, bringing an element of delight to this low-budget scheme. 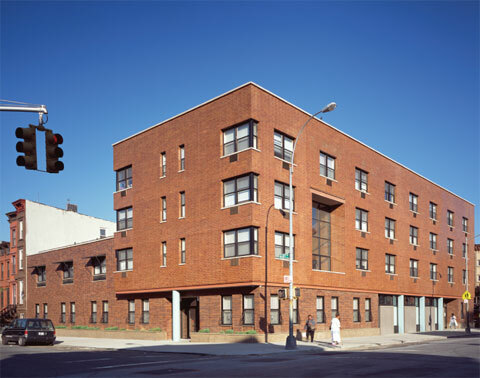 Another standout project, Melrose Commons in the Bronx, took root when Magnusson Architecture & Planning began pro-bono consulting for the client, Nos Quedamos ((we stayy in Spanish), a community group formed in 1993 to protest the city’s Urban Renewal plans for Melrose. 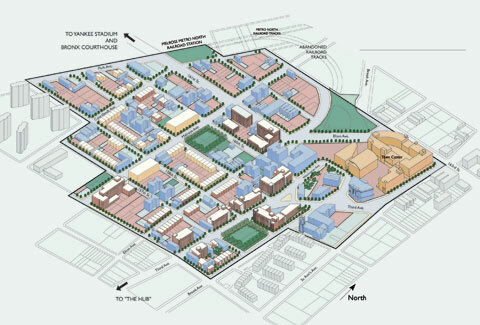 The project won an award in the Building Communityy category, more for the community-involved design process than for the buildings themselvesstidy rowhouses with sliver-sized front lawns, awnings, and orange-and-terracotta patterned faaades. Similarly, Murphy admitted of his firm’s Habitat project, The architectural expression is not necessarily that exciting, but the result is exciting: The people who live there are now a close-knit group of friends because they worked on the houses together.. As Santos stated, There’s always been some kind of ambiguity, as to whether housing is really architecture with a capital A.. And for this reason, Eizenberg posited, People who do housing feel a bit marginalized.. She concluded, I’m glad they’re doing [this awards program]]the people working in housing need all the support they can get.. If McCullar has his way, this will only be the beginning. The New York AIA housing committee is in talks with the BSA about coordinating both cities’ housing awards, with New York taking the odd-numbered years and Boston the evens. But for its inaugural year, the New York Chapter’s Housing Design Awards was all about the home city: Following the same criteria as the New York Chapter Design Awards, announced on September 19, all of the projects had to be either by or for New Yorkers. Anna Holtzman is a New York based writer and a former editor at Architecture magazine. She is completing a documentary about New York City’s subway musicians.